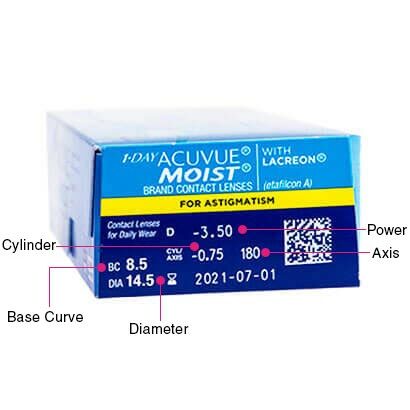 1 Day Acuvue Moist for Astigmatism contact lenses, by well-known manufacturer Johnson & Johnson, are among the most innovative and advanced toric lenses around. These lenses deliver day-long moisture and stable vision, no matter how hectic your schedule is, without letting your astigmatism hold you back. These daily toric lenses feature a design that ensures that the lenses stay perfectly stable on your cornea even when your eye is moving. With 1 Day Acuvue Moist for Astigmatism contact lenses, you enjoy highly comfortable, crisp and clear vision throughout the day. 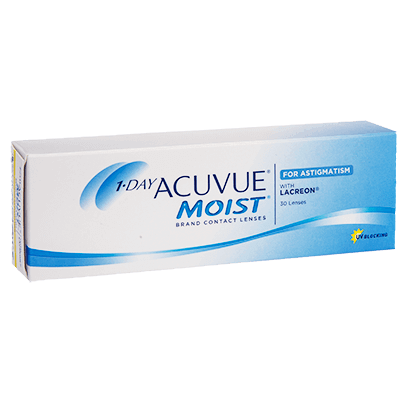 1 Day Acuvue Moist for Astigmatism contact lenses also offer UV protection, keeping your eyes protected from the harmful rays generated from the sun, while you’re outside. 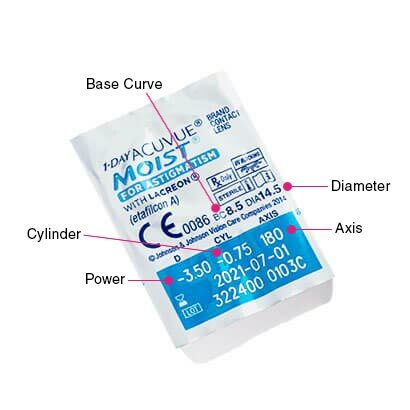 These toric lenses keep your eyes lubricated, making them feel fresh and healthy all day long. These daily disposable contact lenses are ideal if you have a hectic routine, as they provide you freedom from having to look after them. Unlike monthly or two weekly lenses, you don’t need to clean them. All you need to do is to take them out and dispose of them before going to bed. Lead a hassle-free life with these daily disposable lenses. Air Optix for Astigmatism or Biofinity Toric are monthly disposable contact lenses recommended as alternatives to 1 Day Acuvue Moist for Astigmatism.